Scentbird is an e-commerce startup that is built for the pickiest girl -or boy-, in order to enable them to date luxury perfumes before marrying them. Scentbird gives its subscribers the opportunity to discover fresh new designer fragrances every month, without the need to commit to a full-sized purchase. With customised recommendations and over 450 names to choose from, Scentbird makes fragrance shopping simple and fun. As a promising ecommerce startup, they faced the usual problems for such enterprises, mainly how to handle their resources and allocate them optimizing ROI. In this article we will showcase a successful endeavor by Scentbird, what they wanted to achieve, and how they managed to pull it off, let’s find out. Scentbird worked with Revealbot, a Facebook marketing partner, in order to run out the company ad campaigns with its rules. Revealbot is one of the smartest tools or software that is advanced automation for Facebook Ads. It provides all marketers, advertisers, brands, and business with a great suite of professional automation solutions that enable them to optimize their ad management routine and boost their return on ads. As an e-commerce startup, Scentbird was on a mission to scale its ad campaigns in the most cost-effective way possible. It particularly wanted to reduce the amount that it spent on ads that brought few or no conversions. Scentbird relies on split (A/B) testing to help it identify the perfect combinations of ad content, targeting, placement and bidding to drive the best return on ad spend. It also needed to scale its ad campaigns in a way that would bring maximum returns, without increasing team time spent on campaign management. Hence, Scentbird asked Revealbot, one of the newest Facebook Marketing Partners, to help it run more ad campaigns in the most cost- and time-efficient way possible. Revealbot offers advanced ad campaign automation that uses rules—including custom rules that can be set by the advertiser based on the metrics that mean the most to them, such as cost per click, overall campaign budget, time metrics and return on ad spend. 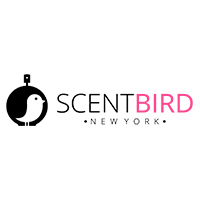 It also allowed Scentbird to automatically increase or decrease budget, manage bid actions and start, pause and un-pause campaigns, based on the rule conditions it had set. Scentbird significantly scaled its Facebook ad campaigns, while reducing the working hours and unnecessary ad spend. Scentbird decreased the amount it spent on ads resulting in zero conversions by 76%. 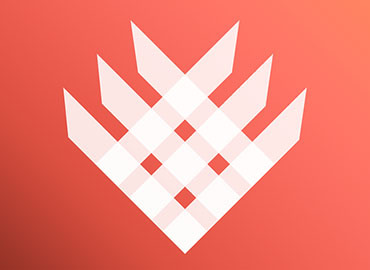 1.8X more split tests with Revealbot. 30% decrease in time spent on manual optimization and testing. Revealbot Automation is considered to be one of the Reveal's smartest products and solutions that are developed to help marketers, advertisers, retailers, and all people who operate in the digital marketing and social media industry.Reveal is a smart software company, which introduces a great suite of intelligent and effective tools, such as Reveal Automation, Reveal Auto boosting, Bulk Creation, Post ID Export.Revealbot Automation is also one of those smart tools in the digital marketing and social media industry that is considered to be advanced automation for Facebook Ads. It is also one of the most effective tools, which help all marketers, advertisers, retailers, and all people who interested in the digital marketing, eCommerce, retail, and social media industry optimize their ad management routine and boost their ROAS with this professional automation tool. Automate most of your team’s routine by creating unlimited number of rules for ad campaigns, ad sets, and ads. Analytics overview delivered to your inbox or Slack team daily / weekly from: Mailchimp, Google Analytics, Google Ads, Youtube, Twitter, and Facebook. Keep the entire team in the loop of marketing performance. Grow following on Facebook and Instagram by auto-boosting your best content. Easily manage thousands of Facebook ads via custom automated rules. A free 14-day trial for you. -Use conditions to automatically pause, start, duplicate your ad sets and change their budgets and bids. -Maximize post reach by auto-boosting your best content on Facebook and Instagram. -Google Analytics, Facebook — get custom reports focused on metrics important to your team. Bulk Creation: -Bulk Facebook ad creation.